It’s the reason I couldn’t wait to get home and open up my Lust 004. That damn red glitter lip the girl in the Lust 004 video wears, shown at the Sephora stores. It’s so simple, and yet so not simple. 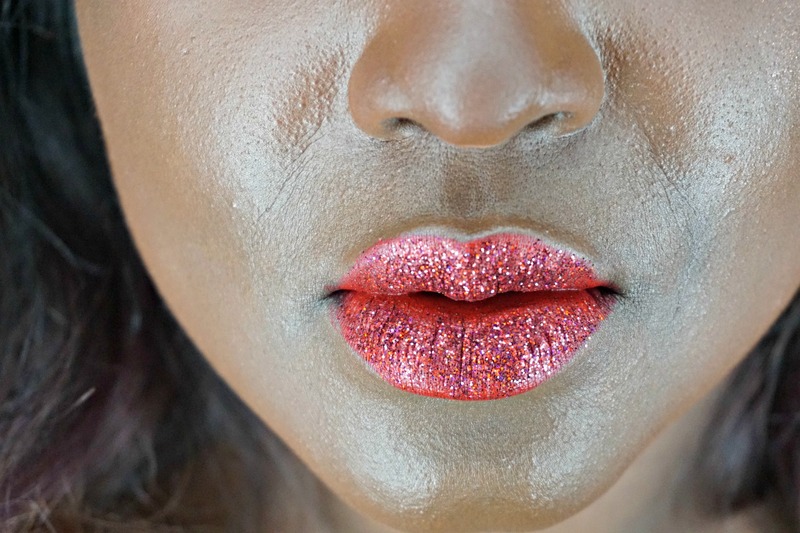 Like, who do you know that will actually rock a whole bunch of glitter on their lips, in addition to a bright red lipstick, just because? But, for those of us who would and who will rock that crazy red lip with the crazy red glitter on top, I’ve added a few tips below. P.S., I did not want to take this lip off at all. Did…not. -Lightly add a mauve or berry blush to compliment the red lip.